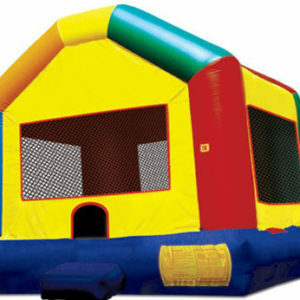 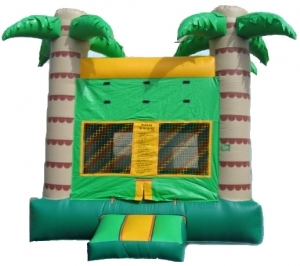 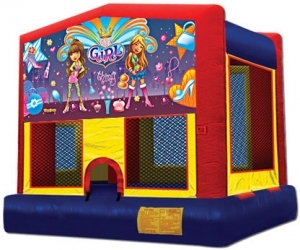 Kids will set off on a tropical adventure with this Tropical Island bounce house. 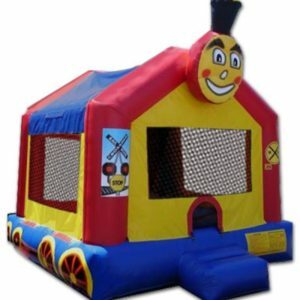 A bevy of wildlife characters, from monkeys to flamingos and even a friendly giraffe, greets each child as they enter the roomy bounce house and take off for hours of bouncy fun! 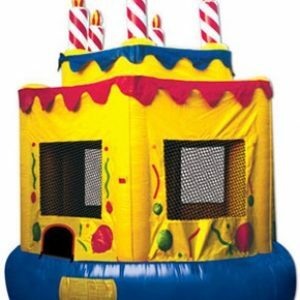 A pair of three-dimensional palm trees top off this colorful unit, making this bounce house stand out at any event or attraction.